Lots of noise in New Hampshire after the release of a new UNH Granite State poll finding the governor’s race between incumbent Republican Chris Sununu and Democratic challenger Molly Kelly is tied at 46 percent. Sununu has consistently led in the polls, and 70 percent of the UNH poll respondents themselves believe he’ll win. 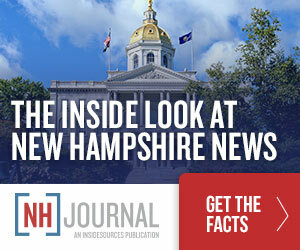 But a poll conducted by a Democratic polling firm for the NH Democratic Party giving Sununu just a one-point edge and this new Granite State poll could be a sign that the governor’s race is far closer than most believed. If that turns out to be the case and Gov. Sununu ekes out a narrow victory, or loses in an upset, it will prove that the James Carville political era is over: It is not the economy, stupid. Unemployment down to 2.7 percent, tied for third-lowest in the U.S. Fastest-growing economy in New England, and the third-fastest in the U.S. Adding jobs faster than the national average. Highest wage growth in New England. Lowest poverty rate in the U.S.
One of the highest median household incomes in the country. The economic news is so good, in fact, that Molly Kelly has been repeatedly challenged by members of the media to answer the question “Why would voters want to change?” And in the final gubernatorial debate, Gov. Sununu was in the enviable position of answering questions about the fact that, in New Hampshire, there are more good jobs available than workers who can fill them. In most years, that would sound like hyperbole. In the current economy, it’s a defensible argument. In short, if this election really is about the economy–it’s over. So what if it’s not? What if it really is a tie? As governor, Chris Sununu has carefully avoided most hot-button cultural issues. He’s led on school choice, which has a conservative constituency, but it’s not a red-meat political fight like, say, immigration. It’s also worth noting that he’s run an overwhelmingly positive campaign. Lots of smiling and celebration– not much doom and gloom. The Sununu campaign has chosen not to run any ads attacking Kelly for her far-Left views on taxpayer-funded, late-term abortions or opposition to state cooperation with Immigration and Customs Enforcement. Instead, his campaign is all jobs and taxes, taxes and jobs. Gov. Sununu tells NHJournal he has “no regrets” about the upbeat campaign he’s run. “We’ve gotten a lot of great feedback. That’s what people are telling us they liked [about the campaign], ” Sununu said. Young progressives see voting against Sununu (and every other Republican on the ballot) as part of their broader war againt Donald Trump. The fact that they’re graduating from college in a state with more jobs than workers to fill them isn’t part of their calculation. They’ve picked sides in a political culture war and they’re just looking for targets to shoot at. Will Trump supporters in New Hampshire show up on Election Day to shoot back? Will they see the votes they cast for governor or Congress as a defense of their political team? Or, without Trump on the ballot, will they stay home? After all, Gov. Sununu–a tepid Trump supporter at best–hasn’t given them any reason to show up. But this isn’t “any other year.” It’s politics in the era of Trump.